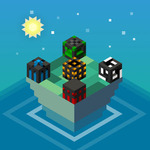 Fire-up your spaceship and set course for the next world along with your trusty A.I. companion. 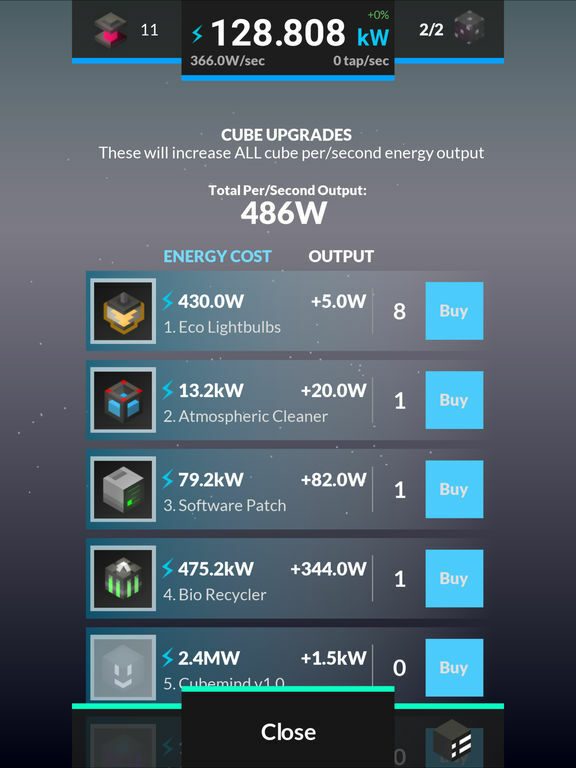 The goal is to generate clean energy using weather cubes and your tapping power. 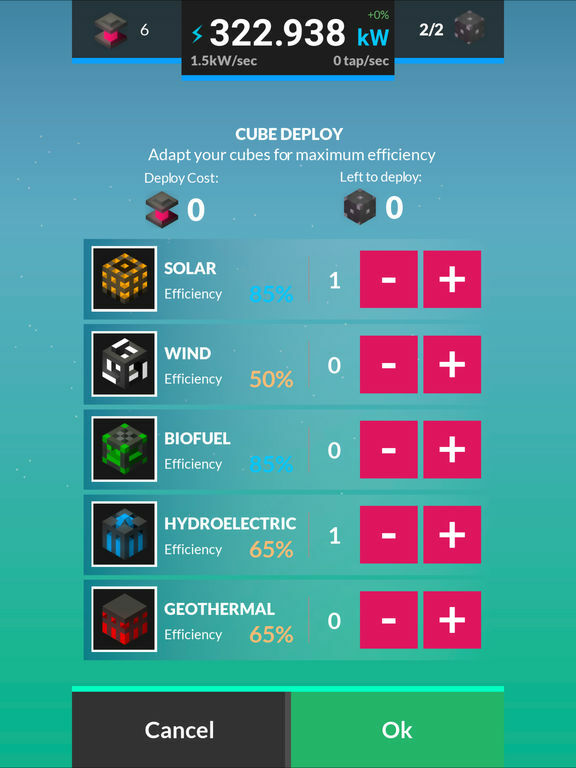 ​Choose from solar, wind, biofuels, hydroelectric and geothermal cubes. Each one will work differently depending on your local weather. 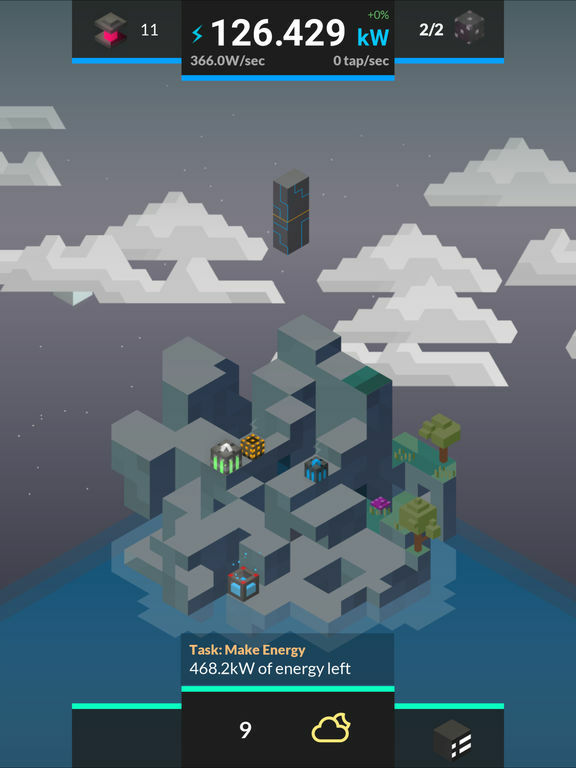 The game environment also updates accordingly for rain, snow, cloud cover, day/night cycles and even moon phases. Buy upgrades to expand your operation further. As you grow, so will your planet. Trees, shrubs and giant mushrooms will sprout the farther you go. To help you advance through the changing weather systems; boosts, mini-games and offline earnings will all be there to give you aid. When has checking the weather ever been this fun and rewarding? 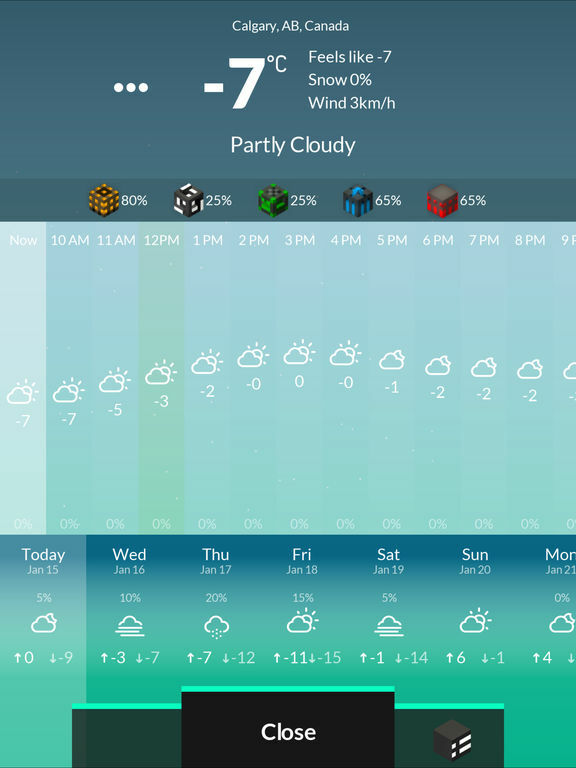 I'm not sure you'd want to use Weather Farmer as a replacement for your weather app anytime soon, but it is a fun and engaging clicker that may get you to look at weather in a new way. 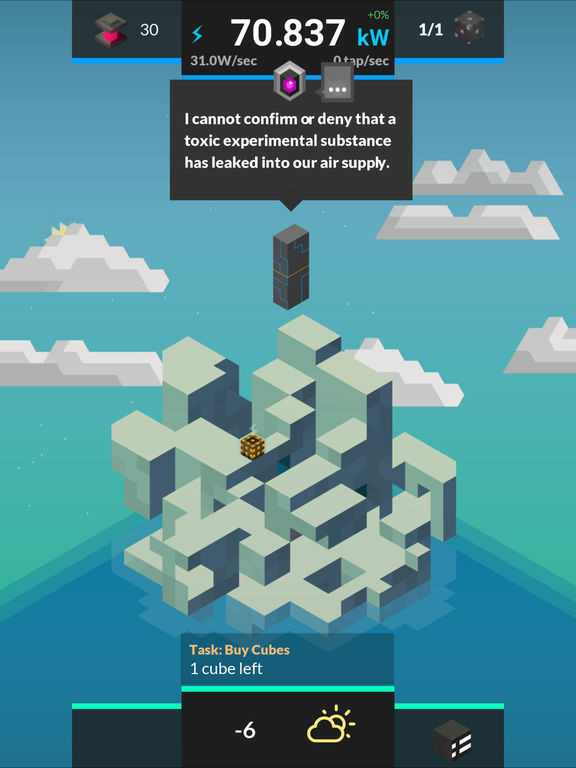 It's definitely a bit of a one-trick pony, but that's ok for a game that's free.